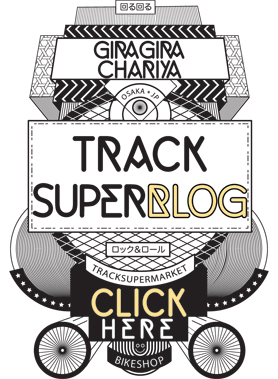 Subscribe to the Track Supermarket Newsletter to receive updates on new arrivals, special deals, sales and news! 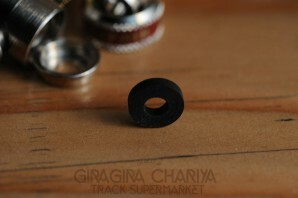 Replacement Presta seals for the Hirame pump head adapter. 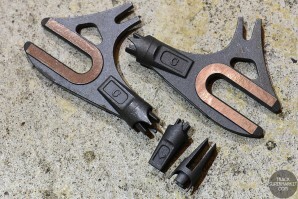 Don't get stuck without them! 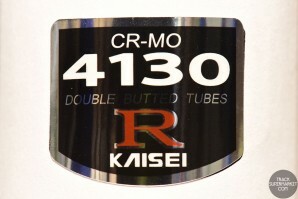 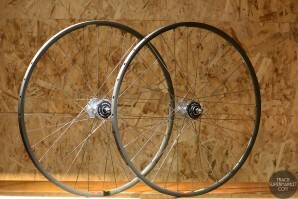 This is a pair of wheel covers (Sold as a set) used by Professional Keirin riders here in Japan. 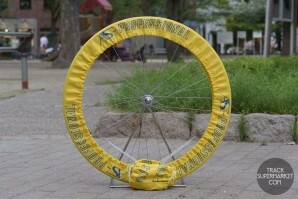 They are only available in Yellow and attach to the spokes of each wheel. 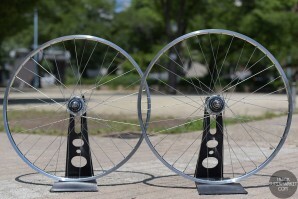 This is a Front/Rear track bike wheel set built using Dead Stock Araya Aero 1 Hard Anodized rims, Shimano Dura Ace HB7600 hubs and, Hoshi spokes. 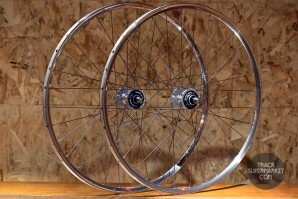 This is a Front/Rear track bike wheel set built using Dead Stock Araya Aero 2 Silver rims, Shimano Dura Ace HB7600 hubs and, Hoshi aero spokes. 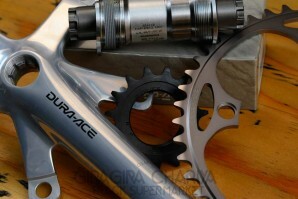 Hands down, one of the best cogs in existence. 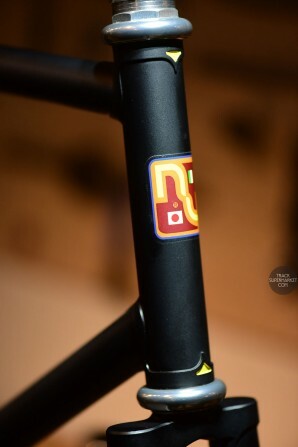 Perfectly round. 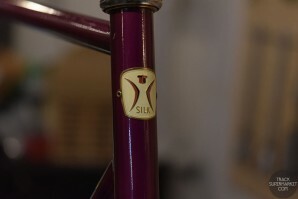 Perfectly threaded. 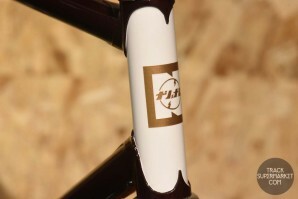 Perfect tooth profiles. 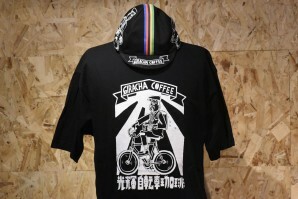 Our collaboration with Tokyo based Street Artist "Esow" resulted in this funky design for Gira Cha Coffee which we have now printed onto T-shirts! 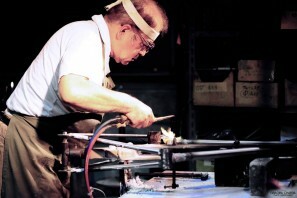 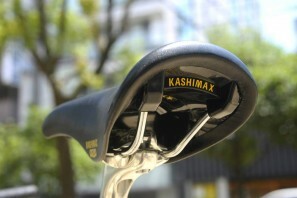 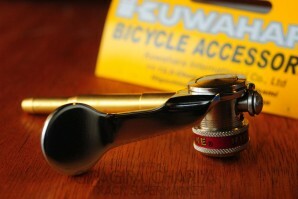 The Hirame pump adapters are hand made at Kuwahara by one man. 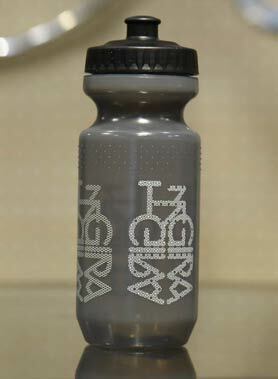 It can handle very high pressure without popping off while you are pumping air. 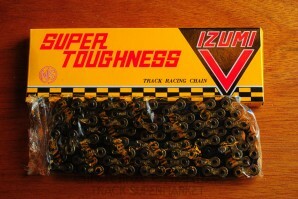 The stiffest and strongest chain, made for track racing, in the world. 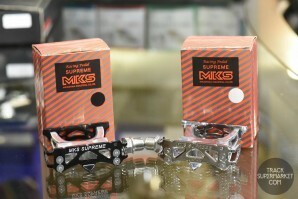 MKS Supreme Pedals, available in black, or chrome. 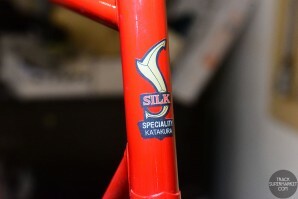 The top of the range offering from MKS. 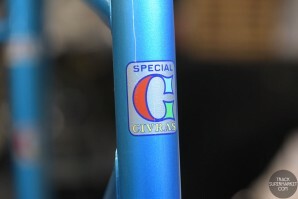 NJS approved. 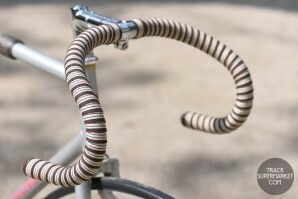 From Japan and made with Love, Samurai bar tape is a nod to the cloth used by Samurai to wrap the hilt of their Katana during Feudal times in Japan. 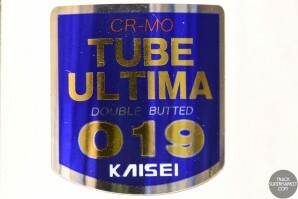 Each 100% cotton roll of tape is 18mm wide x 3m long and two rolls of tape are included in each pack. 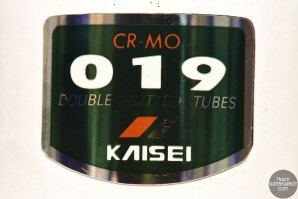 With 22 different designs to choose from, you can add a nice bit of Japanese flair to your cockpit with Samurai tape! 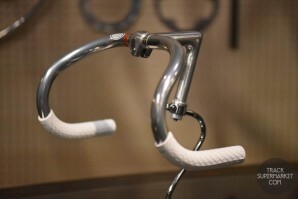 Each pair of Bar tape is sold in a package with Silver Nitto Bar end caps to cap off your wrap job in class! 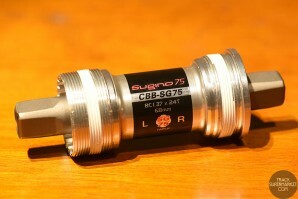 Brand new for 2016, Sugino has introduced the CBB-SG75. 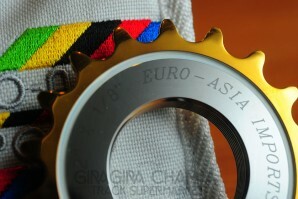 This is the sealed bearing version of the Sugino 75 keirin track racing bottom bracket set. 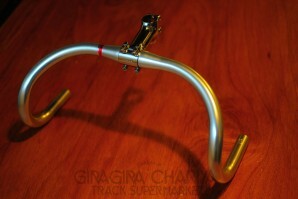 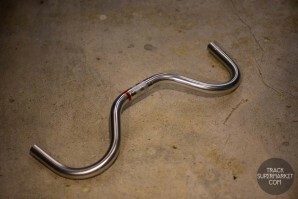 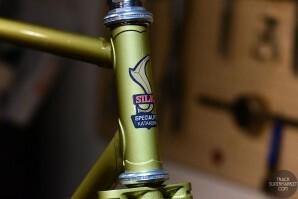 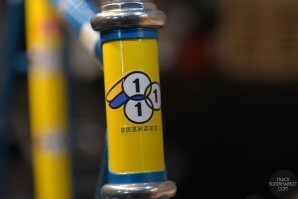 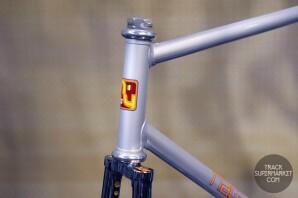 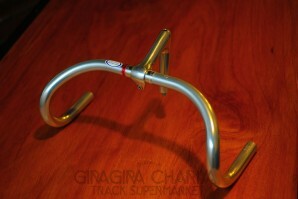 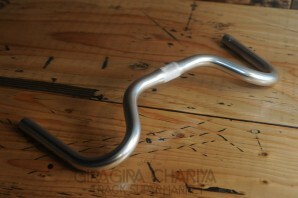 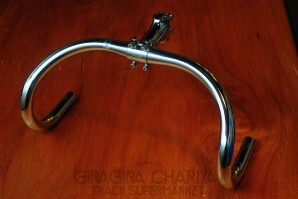 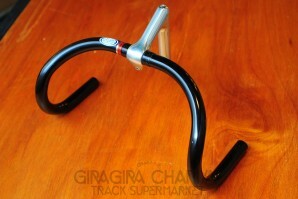 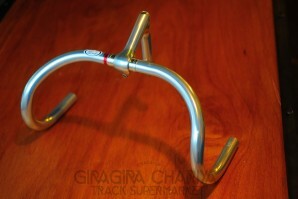 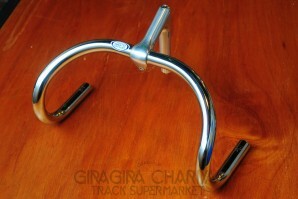 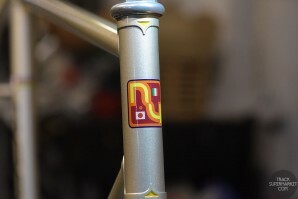 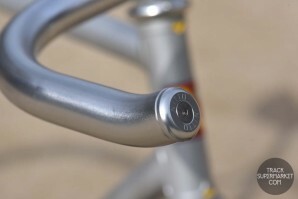 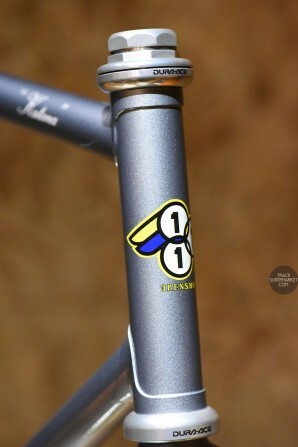 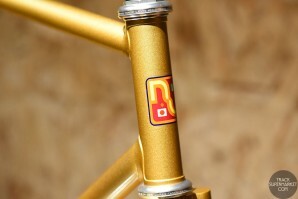 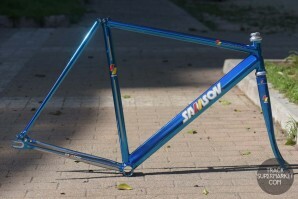 This means it will fit NJS Frames and Cranks but it requires little to no maintenance. 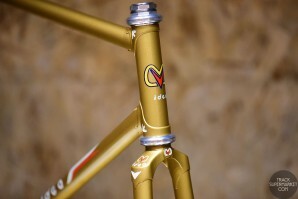 Everything except the frame and headset! 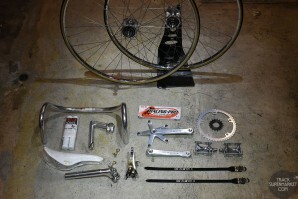 This package includes all of the parts needed to turn your NJS Frame into a ridable Track weapon for a discounted price. 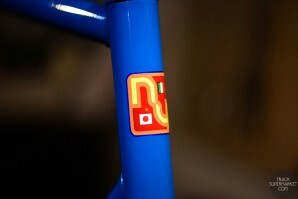 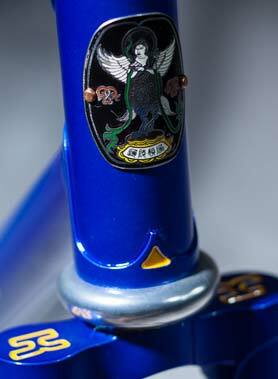 We take the fuss out of choosing parts for your NJS build and figuring out what parts are compatible with others.